What will be your first good resolution of the year? Book your next holidays at La Bastiane? Very good idea !! So for latecomers, here is the first good news of 2019: the Early Booking special offer is extended until 31st January 2019. This is the time to check your agenda and set your holidays … it would be a shame to miss this exceptional discount of 10%, valid throughout the season, over all rentals and pitches. La Bastiane, memories maker ! 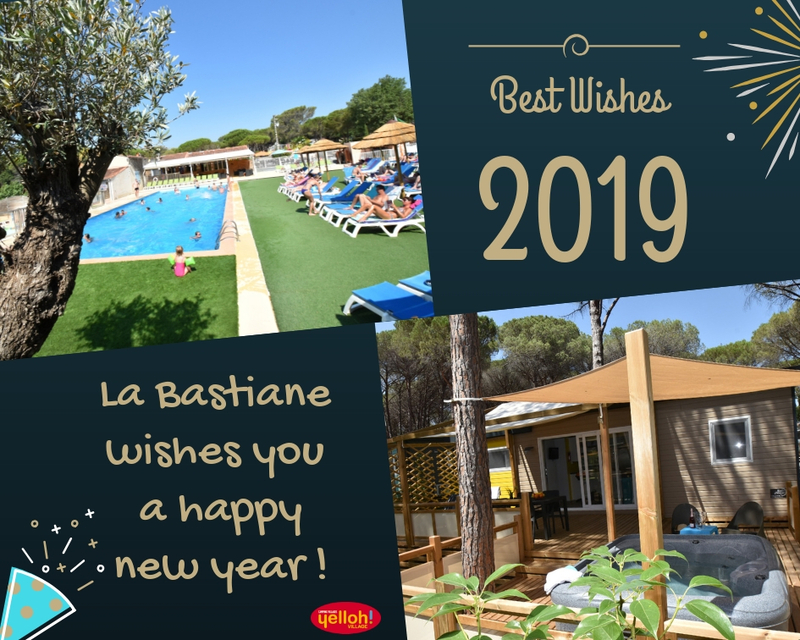 To have a good start for this new year, La Bastiane extends the Early Booking special offer until January 31st, 2019. Take advantage of 10% discount and save money on your next holiday at YellohVillage La Bastiane. The offer is valid all season, for any stay booked before the end of the month, available for all cottages, bungalows, chalets and pitches. Do not wait to make good resolutions, book your rental now and offer your family an unforgettable holiday!